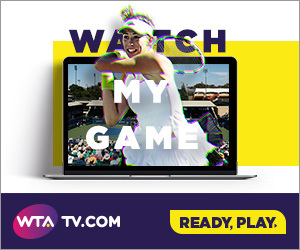 Tickets for this year’s event can be purchased online at www.mubadalasvc.com or by phone at 866-WTA-TIXS (866-982-8497). Williams, who has won three of the last four singles titles at Stanford, followed up her 2014 Bank of the West Classic title by claiming her sixth U.S. Open title. At the time that tied Williams with Martina Navratilova and Chris Evert for the second most Grand Slam singles titles (18) in the open era. Williams surpassed them when she notched her sixth Australian Open victory earlier this year, bringing her career total to 19 and within three of Steffi Graf’s record of 22 Grand Slam singles titles in the Open Era. Ticket packages, which provide fans with multiple money-saving options, are on sale now and start as low as $205 for Night Session Packages, $265 for Weekend Packages and $620 for Full Week Packages. Get your package now and save up to 46% off the regular ticket price. Individual session tickets go on sale, Tuesday, May 26. Opening round tickets start as low as $33. If you plan on staying for an entire day of matches, Daily Double packages start at just $53. The Bank of the West Classic also offers discounts for groups of 15 or more. The list of past champions of the event reads like a Who's Who of women's tennis including Serena Williams, Lindsay Davenport, Billie Jean King, Chris Evert, Martina Navratilova, Andrea Jaeger, Monica Seles, Martina Hingis, Venus Williams, Kim Clijsters and Serena Williams.